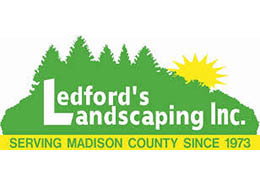 The Ledford Family has been doing business in Huntsville since 1973, and is one of the oldest landscaping companies in the area. We are a full service company with a Landscape Designer and Horticulturist available for appointments. All employees are in uniform while on customer’s property, and remain in direct communication with managers via phones, in order to resolve any concerns or make changes while on the job. We have the latest machinery available in order to keep our operation efficient. We’re able to mobilize crews and equipment as needed for completion of large commercial properties, as well as the individual homeowner. We take pride in our work and strive to ensure timely installation and project completion. 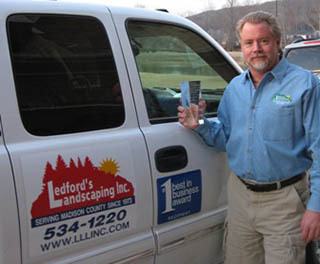 Ledford’s Landscaping is licensed and insured; we also carry Worker’s Compensation. Greg Ledford, President has been certified by both Nightscaping and Hadco Outdoor Lighting companies in advanced design and installation. Greg also has extensive training in custom-design water garden features. Employees of Ledford’s Landscaping attend several professional seminars each year in order to improve landscaping skills and to learn about the latest techniques and materials in the landscaping industry. Ledford’s Landscaping has been featured in “The Home Gallery” magazine several times. We have also provided the landscaping services for the Huntsville Historic Homes Tour. In our many years of operation, we’ve had zero complaints reported to the Huntsville Better Business Bureau. We offer an extensive list of references from residential as well as commercial property customers.